Pioneer jazz festival, as in Indonesia, Dji Sam Soe Super Premium JakJazz 2008 will provide an experience that is unique and special. With the theme of 'A Whole Lotta Jazz', Dji Sam Soe Super Premium JakJazz 2008 show the series of international and local musicians who each represent a genre or the flow of jazz music. 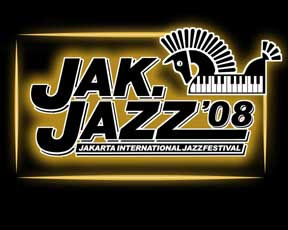 Dji Sam Soe Super Premium JakJazz 2008 not only focuses on the appearance of the motley musicians-flow variety of jazz musicians, but also show the 7 performance stages, such as Concert Hall, Skyline Stage, Amphitheater, Jazz on the Green, Community Stage, Friendship Jazz Bar, and Stage on Screen format with indoor and outdoor stages.